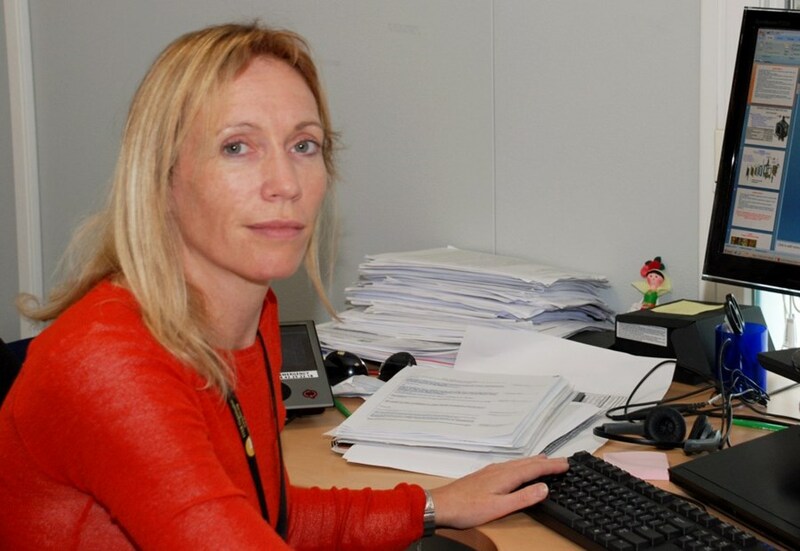 Deirdre Boilson's career as a neutral beam scientist may have led her from Dublin and Garching to Cadarache ... two things have remained steadfast as she's crisscrossed Europe: her interest in the negative ion, and her interest in ITER. "ITER is where the cutting-edge science is happening. In my mind, participating in some small way in this enormous global undertaking has been my goal from the beginning," says Deirdre. ITER's neutral beams are based on the acceleration and subsequent neutralization of negative deuterium (D-) ions; when injected into the tokamak these particles will supply 33 MW of heating power to the plasma. Although neutral beams are routinely used in tokamak devices as the "workhorses" of auxiliary heating, ITER's neutral beams will be the first high-energy beams at 1MV based on a negative ion source. Extensive R&D is underway in Europe, India and Japan to resolve the numerous technical challenges. Deirdre's doctoral thesis at Dublin City University—a study of negative ions for ITER's neutral beams—set her onto the path that would eventually bring her to ITER. She joined the IRFM institute in Cadarache on a Marie Curie postdoctoral fellowship, where a team under the direction of Ron Hemsworth (later neutral beam section leader at ITER) aimed to achieve ITER specifications with a filament-based negative ion source. "The filamented source was part of the reference design at that time," explains Deirdre. "Our R&D work, however, established that this source was incompatible with ITER's long pulses. It was one of the main reasons the radio-frequency source has since been chosen as the reference source for ITER's neutral beams." ITER's neutral beam system consists of two heating neutral beams, which will supply 33 MW of heating power to the plasma, and a diagnostic neutral beam, which will have the same negative ion source technology as the heating neutral beams. Although two neutral beam injectors are planned currently, an option exists for a third (to bring heating power to 50 MW) during the operation phase. Back at Dublin City University from 2002-2010, Deirdre continued to spend extensive mission time at IRFM and, to a lesser degree, at the radio-frequency ion source at IPP in Garching, Germany, that was the basis of the ITER heating neutral beam ion sources (1/8 of the current ITER source design). She focused on developing diagnostics—tools that could provide researchers with exact information about what was going on inside the negative ion source. When a position opened in January 2010, Deirdre joined ITER as a neutral beam scientist. One of the priorities in the Neutral Beam Section then, as today, was the design of Neutral Beam Test Facility (NBTF) components. The NBTF, currently under construction in Padua, Italy, will house two test beds for ITER's neutral beams: SPIDER, which will be a full-scale ITER ion source and MITICA, a prototype of ITER's injectors. "Between these two test beds, we will be able to mitigate all uncertainties before the neutral beam system is built at ITER," stresses Deirdre. "The components we design for the NBTF are the same components that we will use on the heating neutral beams in ITER. We'll be able to look at the beam itself with many more diagnostics than could ever fit on ITER. When it comes time for ITER, we'll have the experience to install, assemble and commission all the faster." A test bed is also under construction in India for the diagnostic neutral beam: the Indian Test Facility, INTF, is a voluntary program carried out by the Indian Domestic Agency. Six months into her position at ITER, Deirdre was made acting section leader. She filled this role—with a short break for the birth of her first child, Jack—through July 2011, when she was recruited as neutral beam section leader. Surrounded by a "very capable team of engineers" it will be Deirdre's job to oversee the procurement, manufacturing, installation and commissioning of ITER's neutral beam system (see text box). Happily ensconced in a newly purchased home in Provence, with her Irish husband (whom she met in France) and ten-month-old son, Deirdre credits her father, who is passionate about science, for influencing her early career choices—and those of her four sisters, who have followed careers in science, medicine and mathematics. "One of the advantages of a career in science today is the geographical mobility it offers," remarks Deirdre. "And even if you stay home, you're sure to be interacting with people from many other cultures. It's a career that rises above cultural difference: you're all speaking the same language once you're speaking science."